Have you heard about Croatia’s glorious coastline, breathtaking natural phenomenon, impressive history and architecture? 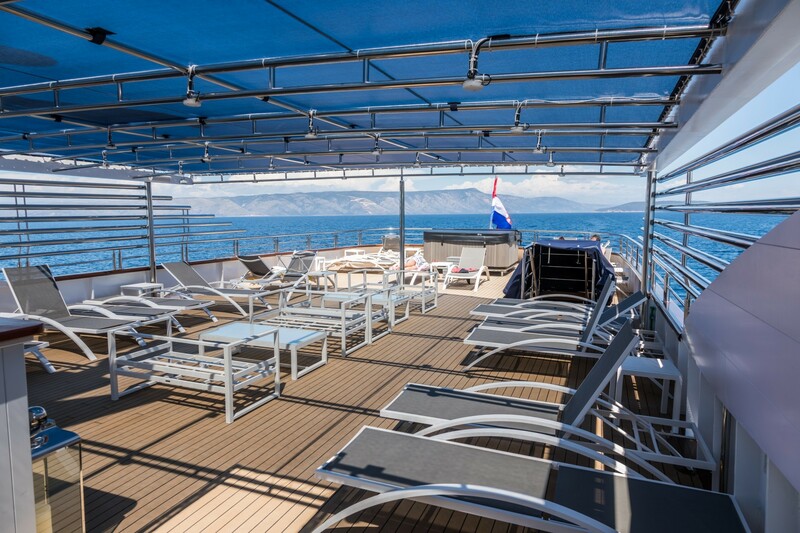 Get to know Croatia and satisfy your refined expectations – join us on our boat M/S Freedom Charter. The growing popularity of Croatia has been recorded in almost every country in the world. 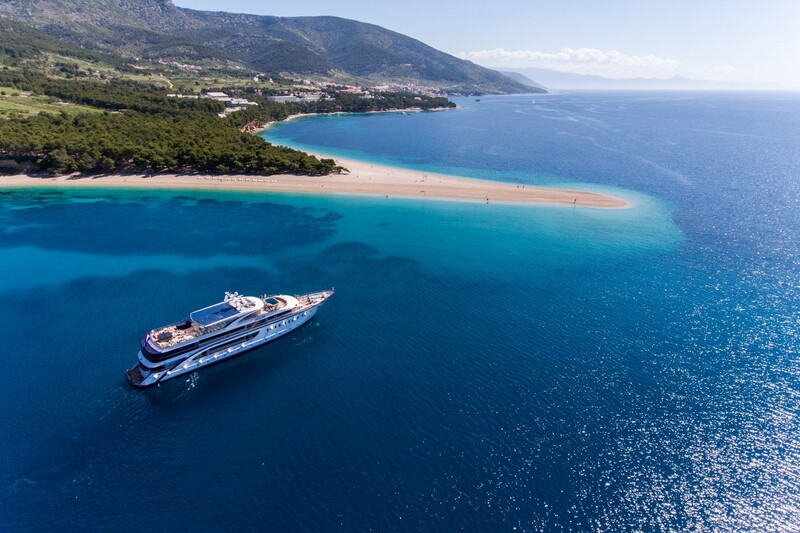 Croatia is a rising star in tourism and we will mention some facts why. Well, you can expect sunny weather. Twelve hours of sunshine a day in May and June and thirteen in July and August makes your visit to Croatia a good choice. Pleasant weather will follow you almost through October. But where will you enjoy all this sunny weather? Spectacular pebbled beaches lapped by crystal clear water will wait for you on every single one of 1244 islands, islets and reefs. While having fun on the beaches try looking for some incredible summer festivals. These open-air festivals during the summer attract well-known international performers. You are more party type of person? No problem. 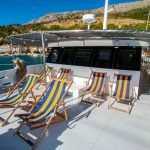 The best places to go if you love to stay out late are right here in Croatia, have you heard about Hvar? Croatia is easily reachable. All hotspots on Adriatic coast have nearby airports which make travelling comfortable. You will start enjoying your holiday without spending countless hours travelling to your destination. This is why we think you should join rising number of tourists that visit Croatia each year. Our boat is the best way to visit all these attractions in the most exclusive way. 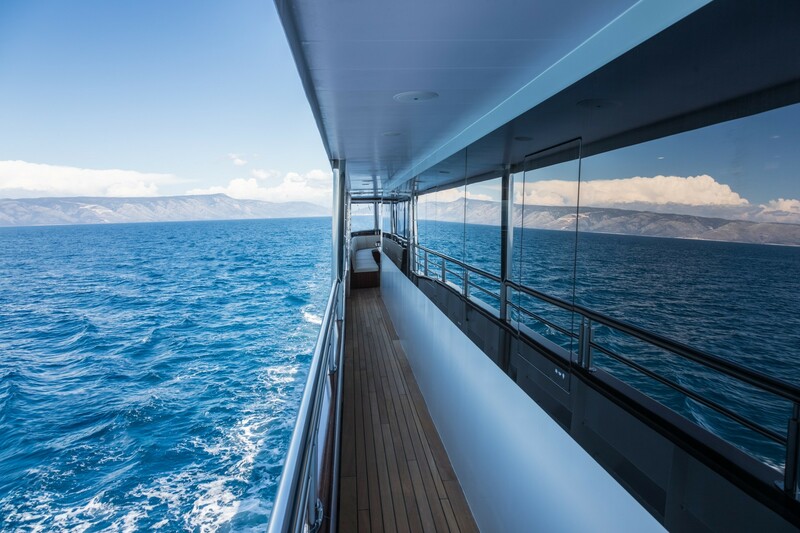 The wonderful M/S Freedom, five-star vessel with latest state-of-the-art equipment and amenities. 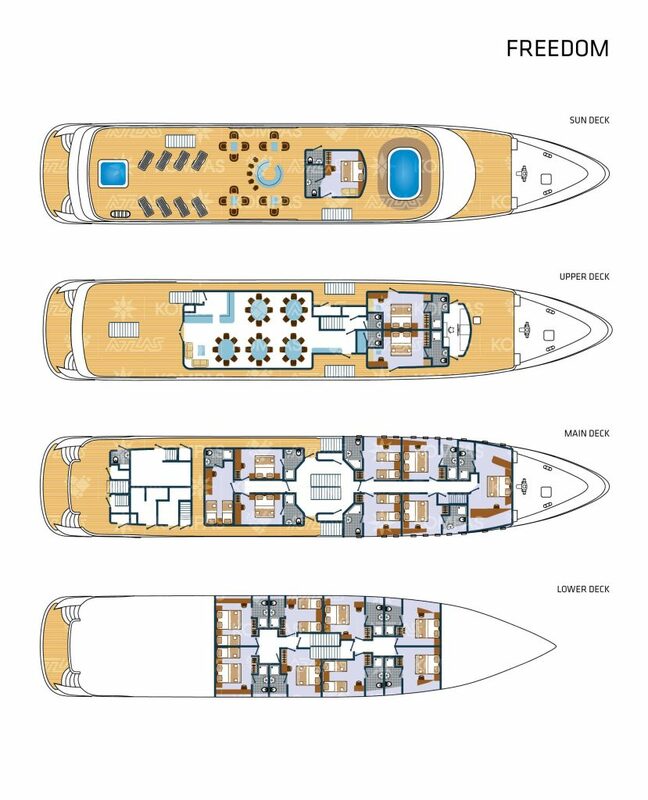 Maximum capacity is 38 passengers in 19 twin, double and triple cabins, guaranteeing an intimate setting for all guests. All cabins have been built by up-to-date standards. Each cabin is fully equipped with A/C, LCD TV, safe deposit box, fire alarm, internal communication system between room and bar. Bathrooms are equipped with toilet, shower, wash basin, hair dryer, slippers, bathrobe, and for added convenience cosmetic package. 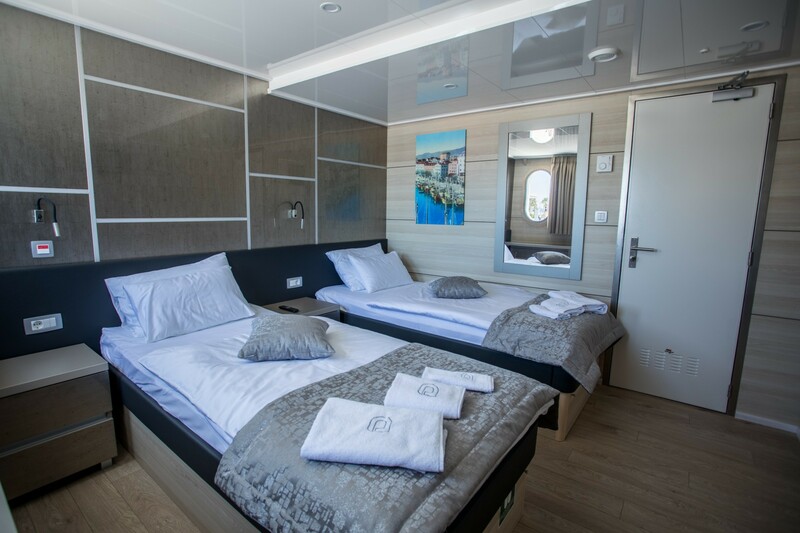 All cabins are sound-proof and each cabin comes with the fire-proof doors. A fully air-conditioned upper deck dining room can accommodate all passengers at once, yet offer a great degree of privacy for each guest. The restaurant is equipped with a bar and LCD TV, and each table has easy-access chairs. There is also a corner table for buffet breakfast, armchair and small coffee table in the bar, as well as free wireless internet (Wi-Fi), loudspeakers, audio-system, and a direct telephone communication cabin-bar. The kitchen is made in line with the latest HACCP standards. An extension of the restaurant is outdoors, on the covered part of the upper deck, spacious enough for all passengers and tables, chairs and including one public lavatory. Electricity on board: 220V. It is most definite that you will have holiday of your dreams. 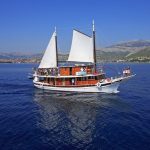 Enjoy in this extraordinary experience which is the best way to see the beauty of Croatian beaches, sites, lagoons and Dalmatian islands.